Have you heard about customer experience management? Back when the question was, "what about a website" the idea that Web would somehow relate to "customer experience" was, well, silly. As consumers, we researched, asked around, and bought from the local, from the physical. We do the same now, but also leave a digital trail that companies can listen and respond to if they're savvy (or maybe crazy) enough. So though we might still buy from the physical, local store, we check, validate, and confirm through search, our online social networks, and maybe by seeing what companies say about themselves. Even for commodity goods, consumers don't buy on their own, isolated from what others think. We're almost compelled to share and contrast what we do, who we are, and especially what we buy. You know the joke? If you're rich: "look at me and how much I spent on this." If you're poor: "look at how much I saved on this!" By the way, wealth isn't about what you could own, but how long you can continue experiencing what you do without additional income. In a way it's related to art. If you've read Seth Godin, you might recognize art as something you do to keep being able to do more art. Though this blog never broke $24.77 in ad revenue (I dropped the ads last March), I've definitely enjoyed my part in the Tridion community. Tridion Blogging -- earn enough to buy yourself a nice gift under $25. Companies only have control on part of the customer experience, but they can manage their response by measuring and encouraging activities that customers value. SDL's take on CXM is simple. As a company, you measure and get insights on your customers, then you orchestrate a contextual experience based on what you know about the customer. The three pillars of insights, orchestration, and contextual experience help approach today's empowered customers, their purchases, and their pre- and post-purchase journey. This is SDL's message as a business to other businesses, but what I want to describe is how Tridion's community demonstrated an organic version of CXM before CXM was an acronym. I'm sold on the story because it's obvious to the (guilty) consumer in me, but also I've experienced this in my personal Tridion customer journey. Before joining SDL I had my own experience with Tridion in terms of pre-purchase, purchase, and post-purchase. In 2007 and 2008, as an Internet Research Associate, I was tasked with researching Web Content Management systems. After several internally-developed tools followed by an actual purchase (and refund) of a smaller tool, my team at the time wanted a CMS that worked with .NET but "didn't take over a web site." After plenty of research and vendor demos, we ended up with SDL Tridion. I took the developer training, joined the TridionWorld forum, and eventually went from a customer to brand loyalist to brand defender. I've joked about getting one, but I'm not quite ready for the tattoo yet. Though since retired in favor of Tridion Stack Exchange, the forum impressed me (even if search seemed "slow" by today's standards). Asking a question would get you an answer within a day or so, by people both in and out of the company. Eventually I was able to share back and even won an award in 2011. I've since learned Support does appreciate the benefits of a community, that sharing helps the company, your peers, and most importantly customers. I've counted at least seven wins for technical communities. The pillars of insights, orchestration, and contextual experience can apply to any product and its community. Though SDL offers software for businesses managing their customer experiences, you can see these pillars evolving organically in any product community, including Tridion's. SDL offers you insights through Social Media monitoring, customer analytics, or integration with your existing analytics approach. For example, see how SDL's Product Commitment score predicted who would win the Xbox One vs. PS4 battle. But you don't need SDL software to do or get insights. You just need to have some online social discussion about your product(s) and the desire to look. For an "organic," in-the-wild example the SDL Tridion technical community offers insights into what Tridion-using organizations are focused on. You know what customers ask about on Tridion StackExchange (also called TRex). StackExchange even offers an API to get this information (see a query for a list of all tags). An "official" corollary to TRex is the official knowledge base. There are also plenty of code examples on GitHub and Google Code. And customers are using open source frameworks built on top of a proprietary solution. If you understand the basics of trust, you'll recognize the transparency in the system, which of course includes people, process, and technology. But SDL, like any other company can only influence the people and the process while delivering the right technology. The SDL Tridion technical community evolves on its own organically. SDL, however, can gather the right combination of people, letting them use a process that fits, to make technology that's compelling enough to turn customers into brand defenders. If you're feeling like a fellow brand defender, consider applying to SDL as well. As of April 2014 we have two positions open in my office. I personally like the term insights because social monitoring, metrics, and analytics is about trends, benchmarks, predictions, and correlation. Without controlled, repeatable studies no one can assume to know what will always happen. Add Heisenberg uncertainty (in physics or even behavior, you're affecting outcomes just by looking) and I think insights is clearer description than simply analytics or predictions. SDL Tridion has offered the ability to create contextual variations since BluePrinting. Even Profiling and Personalization, the ability to target certain content to certain types of users, was available near the turn of the millennium. Tridion's Content Delivery (CD) API also lets your developers retrieve published content meeting certain criteria (by content type or schema, by classification, etc). I remember a defining "wow" moment with Tridion in my previous job when we converted 255 XML configuration files that managed PDFs for 5 visitor types across 50 US states (plus Washington DC) into a single checkbox and Tridion CD API query. If you see "XML" listed on my Linked-In profile, it's because pre-Tridion I had the lucky job of copying and pasting a reference 255 times for each "all type/all state" update. Add "mobile" to the equation and you don't even need a new product, just the willingness to create and manage experiences for these "new" channels. In terms of product, though, Tridion does include a framework to simplify all the things knowable about a visitor into familiar business and Web developer terms. In content delivery (your website), Tridion can take all this surrounding or ambient data and translates it into aspects such as whether someone is browsing your site with a mobile device or tablet along with information about their OS, device type, and browser capabilities. Note the difference between SDL and its customers on the contextual experience part. In the business to business (B2B) space, SDL isn't dealing with millions of consumers but over a thousand companies (that may have up to millions of their own customers). Those that use SDL Tridion can get help from fellow customers to partners to even individuals from R&D, Product Management, and Professional Services on Tridion Stack Exchange (as just one of the 118 StackExchange sites). It doesn't get much more contextual than a personal answer to a specific question. And at least one community member is compelled to answer Tridion questions anywhere they appear. Orchestration is the idea that you can gather and distribute multiple content elements and sources into customer experiences. The challenge for today's Web managers is no one department or technology can cover everything. You need to communicate with, plan for, and integrate with nearly all parts of an organization to create a website. Content Management Systems like Tridion fit nicely in this role when they can integrate interfaces (in Tridion without being in Tridion), integrate content or data during publish, or keep the integration "loosely coupled" by retrieving data in delivery in the website. SDL Tridion 2013 formerly added Bundles (for projects) and External Content Libraries (to show external media within Tridion) which recognize publishing is no longer just pages and a single system can't (and maybe shouldn't) "own" everything. Your community may organically orchestrate things outside your organization. For example, though SDL supports the Tridion community through the MVP award, some user day or event sponsorship, and recognizing/showcasing contributions, individuals perform the bulk of activity This is the truly organic part of this post's title. SDL Tridion's technical community is an emergent side-effect, if you will, of hundreds of individual volunteer contributions helping other individuals get work done. They don't connect and network for networking's sake, they ask for and offer help and then happen to connect to the network. Though you might find an actual Tridion community development consultant, you'll also see a mix participation from roles within and outside of SDL on StackExchange. The fact there's even a StackExchange site came from a proposal by community member Dave Houlker and the initiative of already-active (and some new) participants. I've already mentioned everything from blogs, to code, to podcasts, but let me plug the community-owned Tridion Developer Summit (May 15, 2014) again. So that's my back story and personal interpretation of the CXM message. In terms of my customer journey, aside from getting work done, also getting what I needed it when I needed it from volunteers sold me back in 2008. 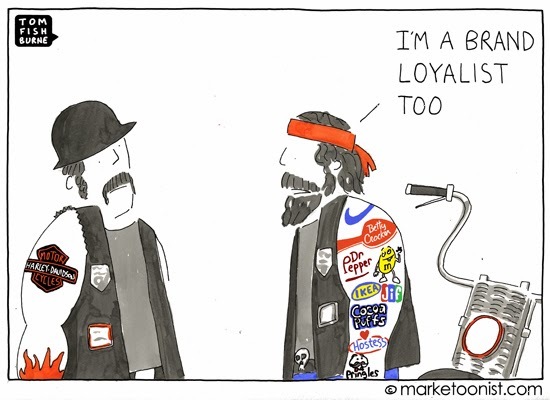 Then being able to contribute back converted me to a brand loyalist and now brand defender. Five years later, I'm now seeing the community "sell itself" as I meet customers that know me or my posts before introductions (flattering and eerie!) or even those that chose Tridion partly because of its community. For B2B or B2C product communities insights tell you what customers are doing and thinking. It's up to you how to orchestrate a contextual response. Often, though, your community will manage impressive things on their own as part of an organic CXM response to your offerings. Though the message, the technology, and specific details change over time, the sharing Tridion community was here before the rise of social media and Linked-In, Twitter, or this blog post tried to explain CXM.